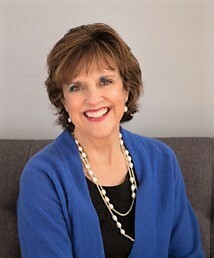 You Are Here:Home / Consultant Directory / Susan Seel, M.S. I am a native Texan but have lived in Stony Brook , NY for 24 years and have a been a full-time , certified Lifecoach for 22 years. Working with people of all ages and professions who desire to make changes in their lives, I seek to enhance the quality of their professional and personal lives. 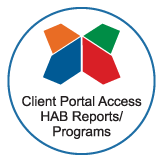 For several years I have developed a particular interest in helping students and adults maximize their talents on the job or in helping them design the best job fit using the Highlands Ability Assessment. In addition, I may address the following issues : calling and purpose, leadership development, developing a team, home/work balance, time/stress management, navigating change and transition. I am a graduate of Coach University as well as being certified by the International Coach Federation, the Highlands Ability Program and affiliated with Talane Coaching Company. I have a Master’s degree from the University of Texas. As co-owner of Made to Move Tennis and Wellness with my husband Spencer, I have avenues which enable me to support others with their fitness and wellness goals. I am passionate about helping others seek holistic and practical tools for pro-active rather than re-active living through intuition, inspiration, and motivation. I was certified as a Highlands Affiliate in 2000 as one of the first group of Personal and Business Coaches that were trained. Before my certification, I was an educator for 25 years, then a full time Certified Personal and Business Coach. I continue in that profession. University of Texas – B.S.